Something a bit different this time. Earbooks, a German publisher of stylish music books, asked me to put together a tome that covered the whole history of guitars and guitar playing. Oh, is that all? Well, I don’t often do work for outside publishers, as we always seem to have enough to fill eight days a week with our own projects. But this seemed like a good one to have a shot at – and, to be honest, what swung it was that I liked the people at Earbooks and their approach. What we ended up with is a different slant and a handsome chunk of a book. 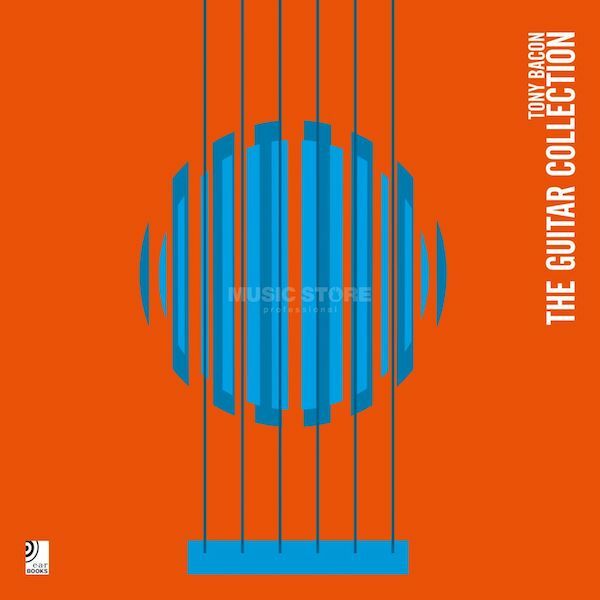 It’s in a big hardback format, and the inside is divided into Flattops, Hollowbodys, and Solidbodys, along with a couple of nice design touches: first, an illustrated guitar index; second, a swathe of sleeves for over 100 recommended guitar albums. If you click on the link here, you can see (and argue with) the full list of those fancied guitar albums. The multilingual among you might also like to know that the book comes with English and German text alongside each other. Und das ist without doubt gut, however you look at it. Earbooks managed to conjure a keen slice of vinyl to tuck into the back of the book: a rare version of ‘Smoke On The Water’ by RockAid Armenia, which included Brian May, David Gilmour, Ritchie Blackmore, Tony Iommi, and Alex Lifeson, so that seemed like a bonus. To see a short promo video click here: it features a handful of the guitars featured, with a clip of the ‘Smoke’ track playing along.